Inside Lincs Magazines are read from cover to cover and retained until the next one arrives. Our advertising works! It could be working for your business! SUPPORT YOUR LOCAL BUSINESS - USE LOCAL SERVICES - USE THEM OR LOSE THEM! Follow us on facebook Twitter & Linkedin search "Inside Lincs Magazine" to keep up with up-coming promotions, events, what's on & more. permission of "Inside Lincs Magazine". copyright issues regarding adverts published in good faith. “INSIDE MAGAZINES”…. 5 GLOSSY TITLES TO ENJOY EVERY MONTH. 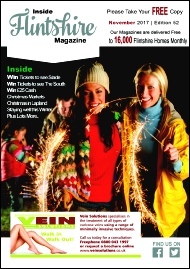 “INSIDE LINCS MAGAZINE” - LINCOLN'S BIGGEST MONTHLY TITLE, DELIVERED FREE TO OVER 18,000 HOMES EVERY MONTH. 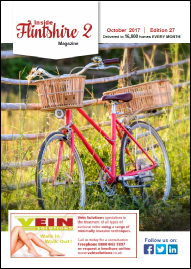 Click on cover below to view that issue of the magazine. Copyright © All rights reserved. Designed by: Nigel England. Why advertise with Inside Lincs? Prices start from just £99 for a whole year. We publish more copies than most of our competitors. Pound for pound “Inside Lincs” offers the best value advertising in Lincoln and surrounding areas. 30,000 copies now printed and delivered EVERY MONTH - ensuring your offers are seen by more potential customers than ever before. Distributed to selected areas. ABC demographic areas. Not just areas dense in housing estates or “dumped” at numerous outlets around Lincoln. readers keep the magazine for easy reference. part of your advertising package. 30,000 copies to 30,000 homes, in three magazines across Lincolnshire, Chesterfield & Bolsover - EVERY MONTH. Can your Business afford to miss out on Reaching 30,000 Homes & Businesses - every month? 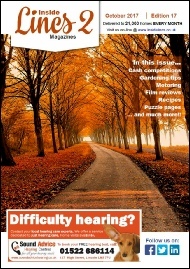 “Inside Lincs magazine” is a FREE, full colour, glossy, editorial led magazine, not just another “AD MAG” - Est. since 2010 - And the original “Lincs” Publication! Often copied - Never bettered! Delivered FREE to over 18,000 homes & businesses - EVERY MONTH - (Not Bi-Monthly). We are Lincoln’s BIGGEST monthly title, that’s actually a “Readable magazine” - not just an “Ad-Mag” with the “same old, same old” month in, month out!! We believe we can certainly help get your name “Out there” ... So to speak....And perhaps some new sales, to a new audience, in different areas to where your advertising at the moment... And with some very attractive advertising rates !! Advertising packages are available to suit all budgets with easy payment terms and include free online and social media advertising. And remember, ALL advertising is “Tax Deductible” - And we take monthly payments to help with cash flow! T&Cs apply. A massive 20% OFF our advertising prices (Above) when booked throughout the month of April, for the May editions onwards. Subject to a six month booking. Minimum size ¼ of a page advert. 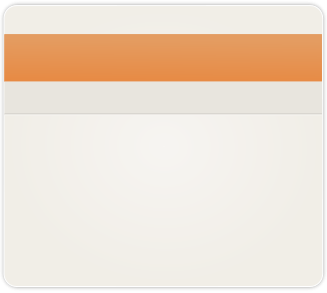 Payment must be paid in full prior to print. Doesn't include an 1/8 page advert. Offer to appear in the Lincoln magazines only.